From a young age Chef Edher developed a hunger for all things culinary. Born and raised in Mexico City, one of the gastronomic capitals of the world, Chef Edher worked under the watchful eye of some of Mexico’s top chefs including Enrique Olvera in Condesa DF and Olivier Lombard at L’Olivier. Mentor Chef Patrick Robertson would also play an important role in forging Chef Edher’s perception, attention to detail and drive for perfection. 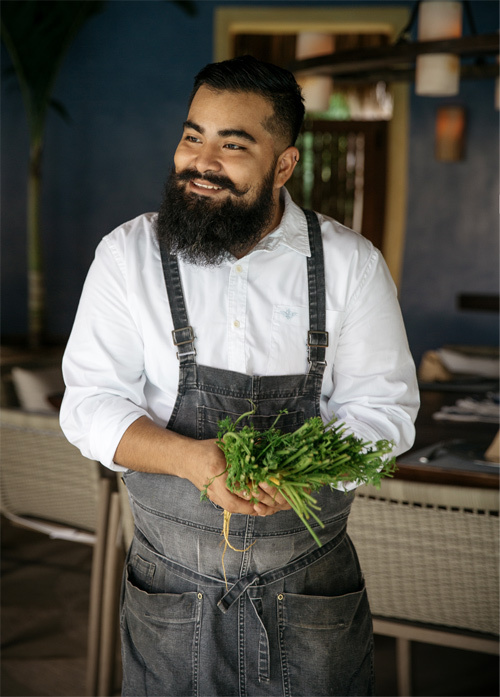 It was this combination of classical French training and modern Mexican cuisine that shaped his own personal style; Contemporary Mexican with traditional and cutting edge techniques, strong cultural influences and a proud use of local and native ingredients. Chef Edher and his team strive to offer the highest quality gastronomic experience with every meal and work closely with our General Manager to ensure our guest’s every culinary request is catered for.